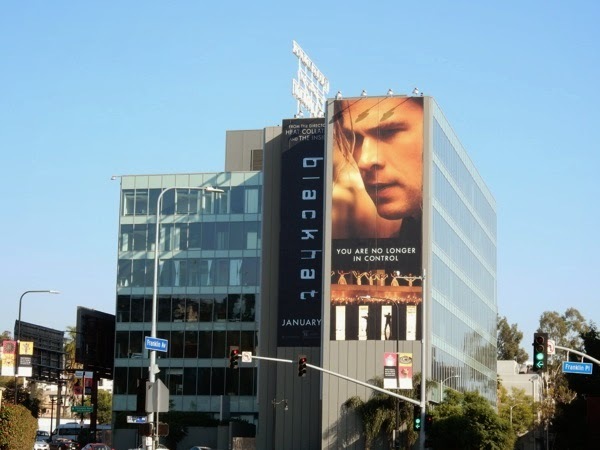 A film about hacking has probably never been so timely in the U.S. after the recent Sony hack scandal, so whilst Blackhat may have slipped below the radar as just another thriller in the past, it may just benefit from recent events. 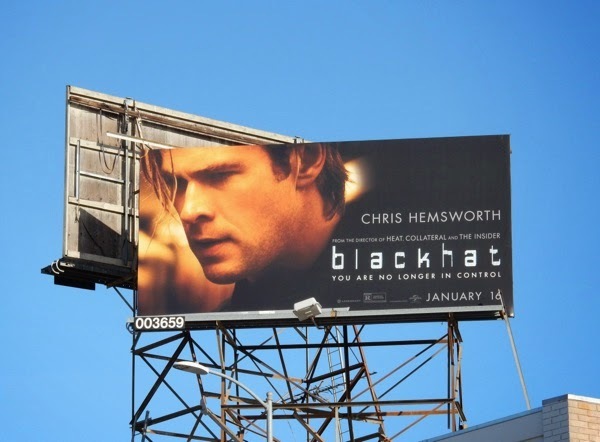 When he's not wielding the mighty hammer of Thor or playing famous Formula One race drivers, Chris Hemsworth can be seen as a furloughed convicted hacker helping joint American and Chinese agencies track down a mysterious cyber criminal around the world, from Chicago to Los Angeles, Hong Kong to Jakarta. 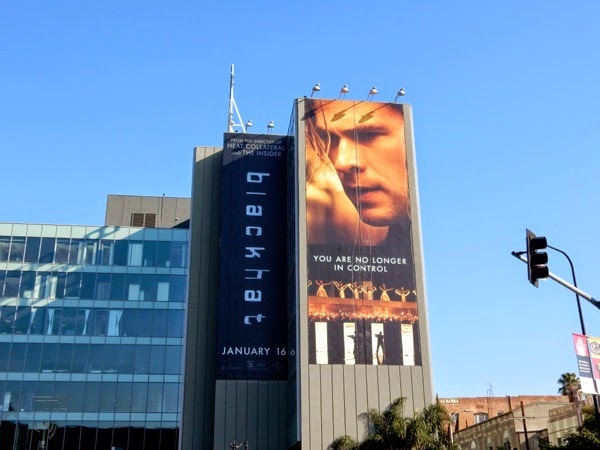 This global cyber thriller from Michael Mann just seems the latest in a long line of Hollywood movies hoping to cash in on the Chinese box office with storylines set in China and Asian locales, with Chinese co-stars (and someone at the studio is certainly in control of these factors). 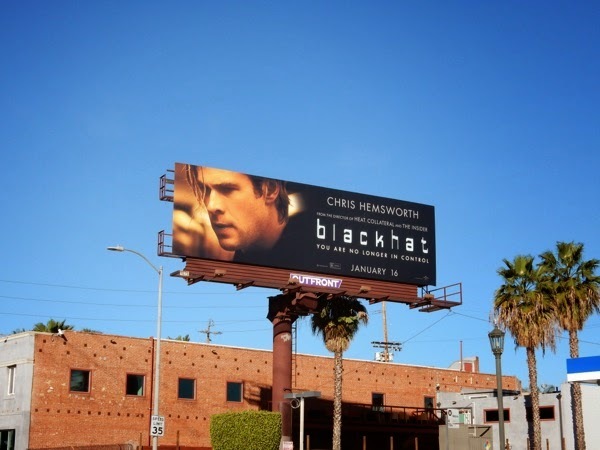 These giant-sized Blackhat movie billboards were snapped along the busy Highland Avenue at Franklin Avenue in Hollywood on January 3, 2015, whilst the smaller ad creative was spotted along Westwood Boulevard the next day. 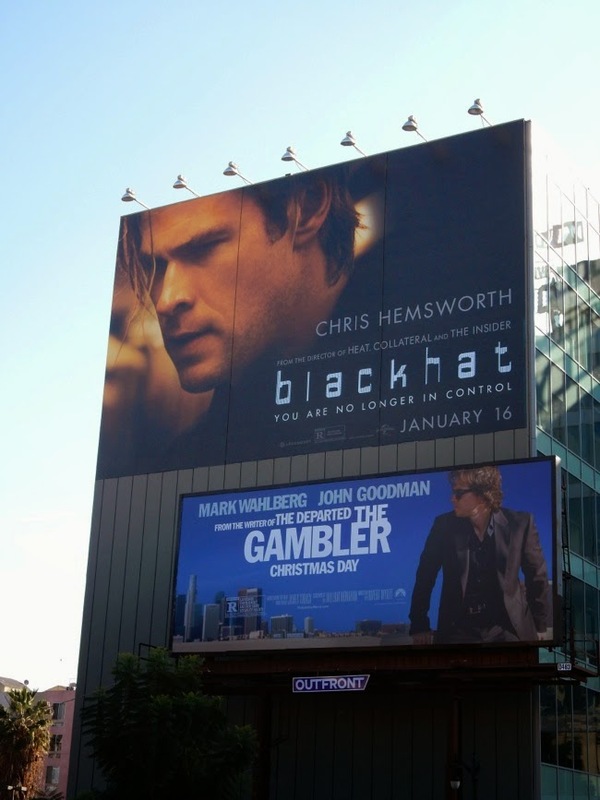 If you're a fan of the hunky Aussie actor, be sure to also check out these Rush movie billboards, Thor movie billboards and these Snow White and the Huntsman film billboards. 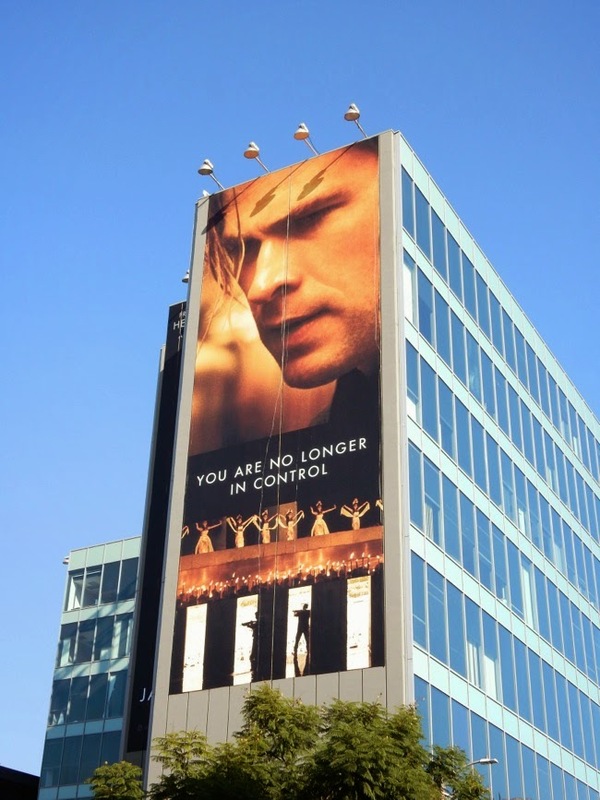 And let the countdown begin to when he next brings the thunder in Avengers: Age of Ultron this May. 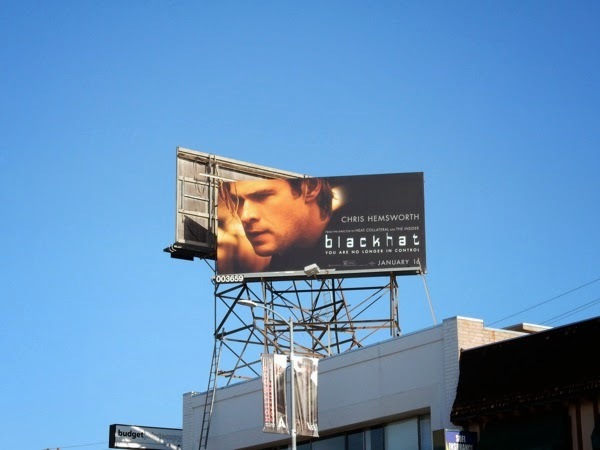 UPDATED: In addition here's a standard landscape size billboard for Blackhat spied along Santa Monica Boulevard at Vine Street on January 15, 2015.